Till last week I’d never heard of glider chairs – turns out they’re a modern day rocking chair, but all plush and comfortable. Something like a glider chair makes you think about your web site strategies when you look at what people search for. Essentially you have to be up with the jargon of your market. 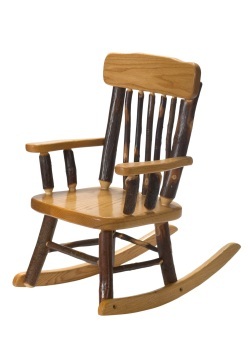 After all, no good marketing glider chairs if those people searching for them are searching for “rocking chairs”. Even though the glider chairs are a fair bit different – the frame consists of a seat attached to the base by means of a double-rocker 4 bar linkage – to a rocking chair, you need to do what your market wants. So if they’re searching for “rocking chairs” you have to be sure your glider chairs are visible to that market. Don’t stand firmly behind your product name if people call it something else – that’s what results in zero sales and people missing out on your great chair.